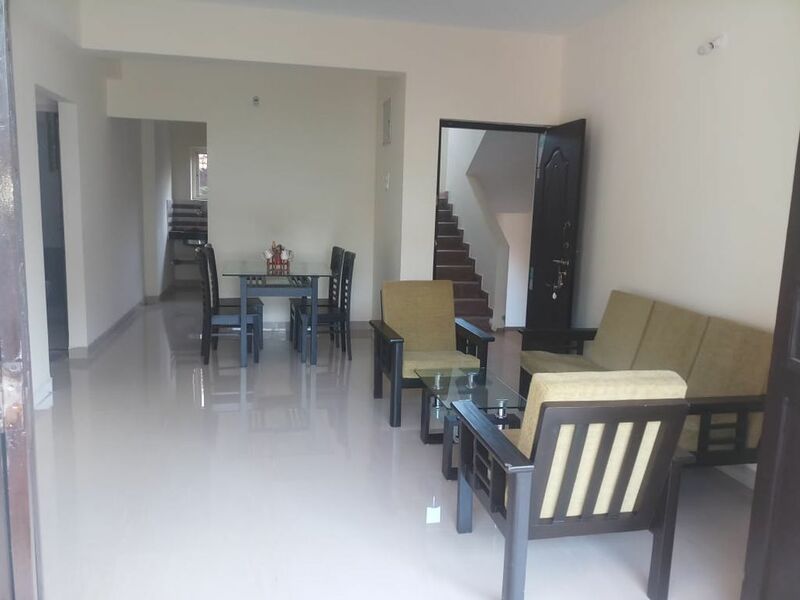 2 BHK FULLY FURNISHED A/C APARTMENTS SITUATED IN A PRISTINE LOCALITY OF PILERNE. 2 BHK APARTMENTS SITUATED IN PICTURESQUE PILERNE ABOUT 4 KMS FROM THE FAMOUS CALANGUTE, BAGA & CANDOLIM BEACHES IN A TYPICAL GOAN LOCALE, IN SERENE BACKGROUND SURROUNDED BY NATURE AND ITS UNSPOILT BEAUTY. THE AREA IS KNOWN FOR ITS BIRDLIFE. THE COMMERCIAL AREAS OF MAPUSA AND PANJIM ARE SITUATED AT A DISTANCE OF 6 KMS. THE APARTMENT IS FULLY FURNISHED . THE KITCHEN HAS A REFRIGERATOR AND A HOT PLATE. THE BEDROOMS ARE PROVIDED WITH A/C .